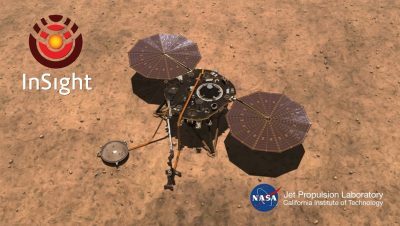 This week, humankind took another step towards understanding our universe with the successful landing of InSight on the surface of Mars. We still have a long way to go before the data comes in. 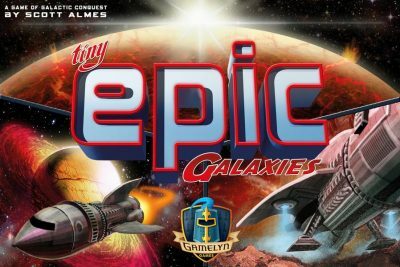 While we wait, celebrate with a boardgame of galactic exploration. 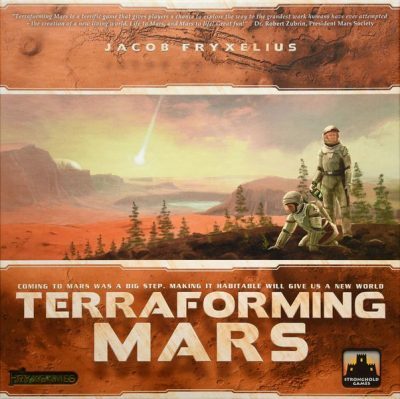 400 years in the future, mankind begins the process of terraforming Mars. Each player takes on the role of a mega-corporation, all vying to boost economic power and public opinion while collaborating in the process of terraforming mars. Will you focus on creating an atmosphere through plant life, or on filling the riverbeds with water? Each player can take a different route to victory, but which one will reign supreme? The universe isn’t as big as we thought, and there isn’t enough space for all of us. 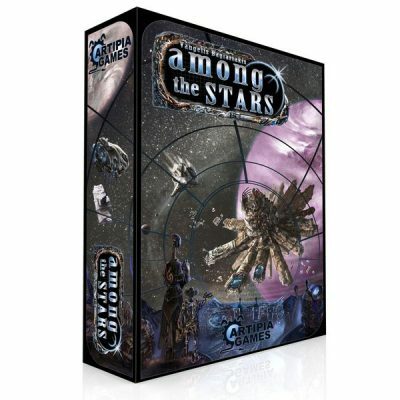 Make allegiances between galactic factions to garner enough trade and military power to eliminate your opponents. But don’t get too bogged down with outdated ships, or disperse your power too widely, or you will find your allies unwilling to collaborate. After the fall of the Lazax Empire, the remaining galactic races vie for dominance and control over the galaxy. Take control of your favorite race, and build political, military, economic, and technological might. Hold onto your sector while invading others’ in hopes of tipping the scales in your favor. The galaxy is filled with clichés and oddities pulling from every sci-fi space opera from TV, Film and Literature alike. Compete against the other space heroes to reach max level before they do. But watch out! As you explore, so does your rivals, and at any moment they may spring a trap, or sick an army of fanged fuzzballs on you! The universe is collapsing and there is nothing that can be done to save it. However, legend says that whomever holds the ‘Ovoid’, a mystical cosmic egg that will birth the new universe, when the current one collapses will be able to shape the new universe as they see fit. Can you make sure that your species holds the Ovoid when the time comes? Take control of one of the remaining species in the universe as you participate in the largest game of reverse hot-potato the universe has ever seen! 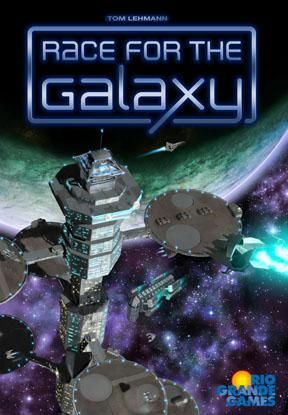 Step onto the legendary ship Battlestar Galactica as you lead the whole of humanity through the stars to find a new home. Along the way, fight off the Cylons and beware betrayal from within. 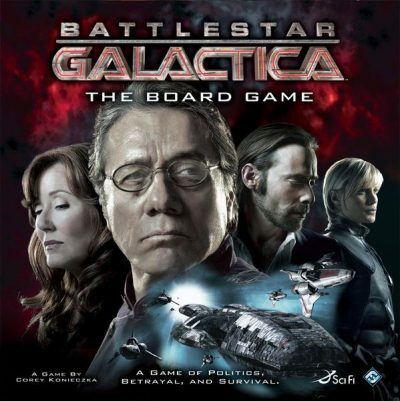 Each player takes the role of one of the major characters from the Battlestar Galactica TV show. Who will be the Cylon sleeper cell? Can you stop them before they betray you? As the universe expands continuously, and energy disperses across a wider range of space, the universe cools. From the Big Bang to its inevitable cold death, stars are born and die, planets and civilizations rise and fall. 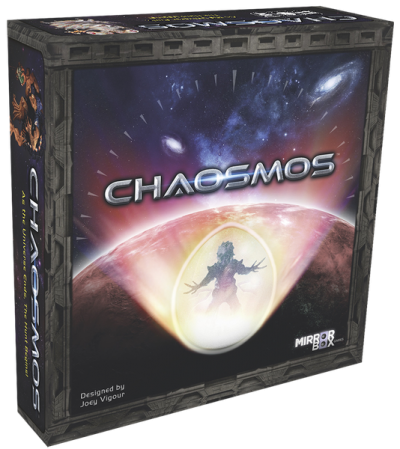 In this game, each player is a cosmic architect, attempting to create solar systems to survive the eons. Manage your elements well and time galactic sabotage on the scale of heavenly bodies to write your name in the very matter of the universe. Your civilization has developed the technology to join the stars, but quickly you discover that so has a dozen other civilizations. Now the race is on. Claim planets and develop technologies as quickly as you can, but make sure your economy doesn’t stall out. In the end, only one civilization can claim dominance over the galaxy. The galaxy has been ravaged and scarred by war. However, when immenant destruction loomed, the alien races declared peace. Now, in the wake of that threat, each species seeks to build the greatest space station to promote trade and diplomacy as well as to ward off future threats. Will your space station stand the test of time? 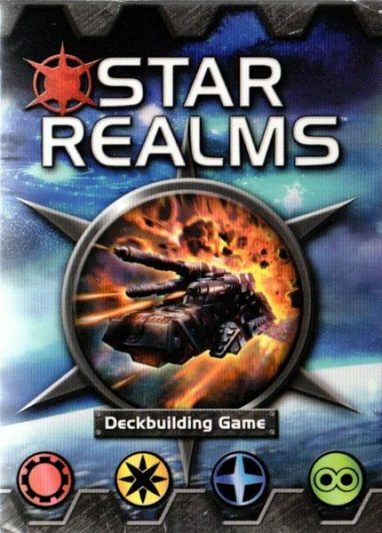 A compact game of galactic control. 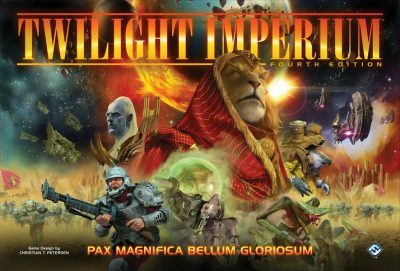 Take the role of a galactic empire seeking to expand their dominion. Use your actions well to take control of planets and to expand your reach. 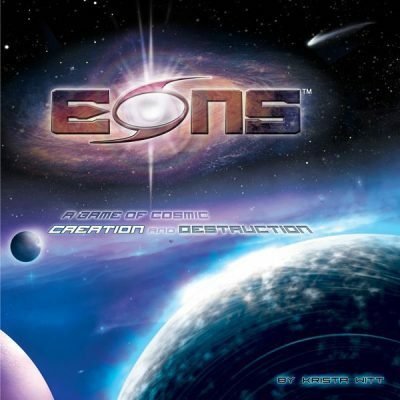 Strike out alone on the less desirable planets, or fight for dominion over the more lucrative ones. The more you risk, the more you have to lose! 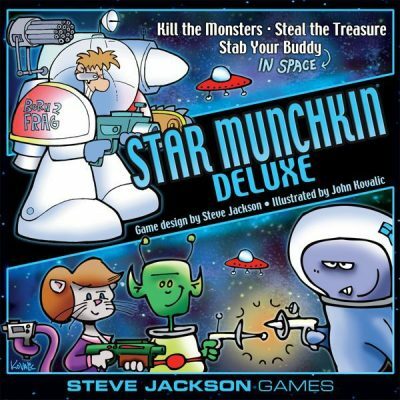 Posted November 27th, 2018 by Jeremy & filed under Board Games.